You think it’s bad when your tipsy uncle won’t take the hint and go home when you turn the lights off when everybody else knows the holiday party is going, going, gone? Think about the plight of the London guy who saw his driveway chosen by the senior woman who’d chosen his neighborhood as the place to park her vehicle and make do. And then have her live in it at that very spot the next 15 years. 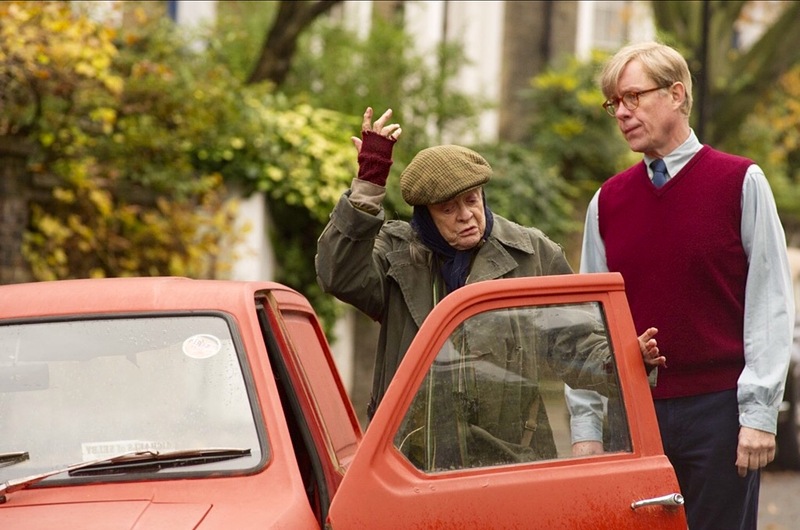 Yes, the premise for the cute 2015 film The Lady in the Van written by Alex Jennings from his own memoirs and resulting stage play is “mostly true,” as we’re all told at the beginning in this version directed by Nicholas Hytner. 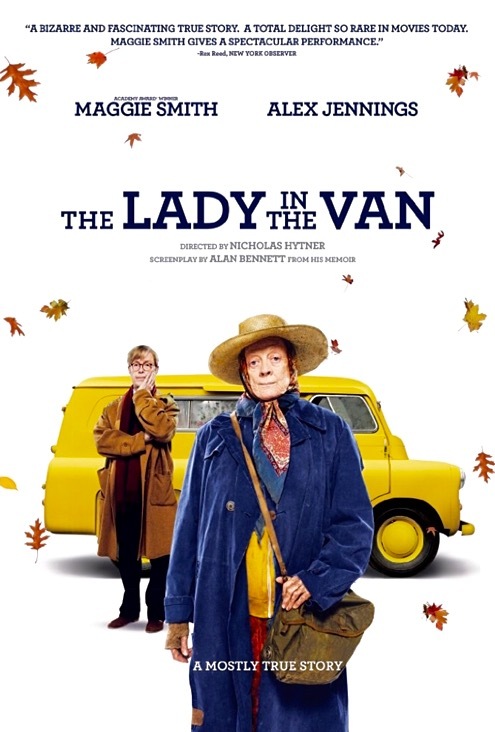 Starring the indefatigable Maggie Smith as the rascally Miss Shepherd and the eye-rolling Alex Jennings as the bothered, flustered but increasingly tolerant Bennett, this untidy character study allows both to make the most of their emotions and lack thereof. Smith is marvelous as an old woman who digs her heels in and always gets her way. Jennings is pretty sly as a middle-aged playwright who takes the guilt he feels for moving his own mother out and into a seniors home and … Well, he doesn’t really know where to put it, so we get an identical self sitting in his den to hold conversations about the matters of life, a vehicle of movie-making that some might like, but I found as ingratiating as an old, broken-down van at the end of my driveway would be. The interplay between the Lady and the man she expects much of and from is enough to make things always interesting. And when the neighbors pitch in with their opinions and social workers and others come by when it’s obvious that time has come, well, his emotions break through at last, too. What’s your best tactic to get rid of unwanted guests? Has anybody ever worked their way in with you that you never expected, and if so, how’d they do it? What’s your favorite Maggie Smith movie, and why? What is ‘Jeopardy’s’ lost decades? i enjoyed this movie, partially because it was based on his real life experience, but i always love maggie and it does show how some people slip thought he cracks over time and still need support even though they make it very difficult to help them. Yes, that it does, Beth. Good call there, my friend.